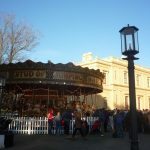 RAINBOWS ENJOY A VICTORIAN CHRISTMAS. 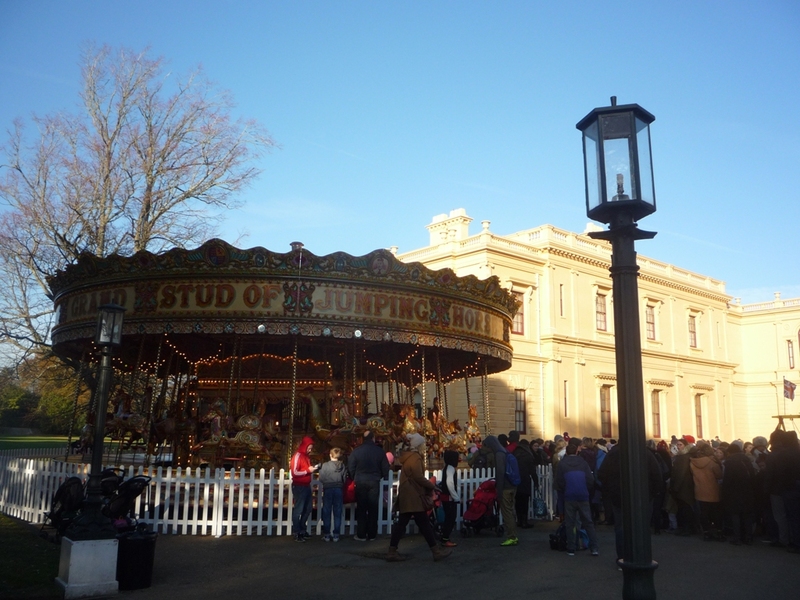 Several Rainbows and their leaders enjoyed an outing to Osborne when Osborne House was the setting for a special Christmas event over the weekend with a Victorian Christmas being held there. 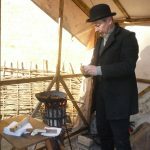 Thousands of people visited the site and with ‘Car Park Full’ signs up early in the day English Heritage laid on mini buses to get visitors to and from the set up Park and Ride. 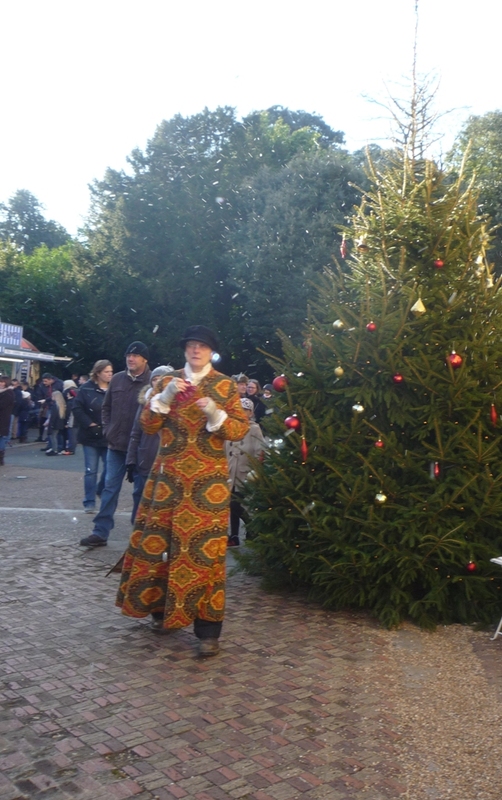 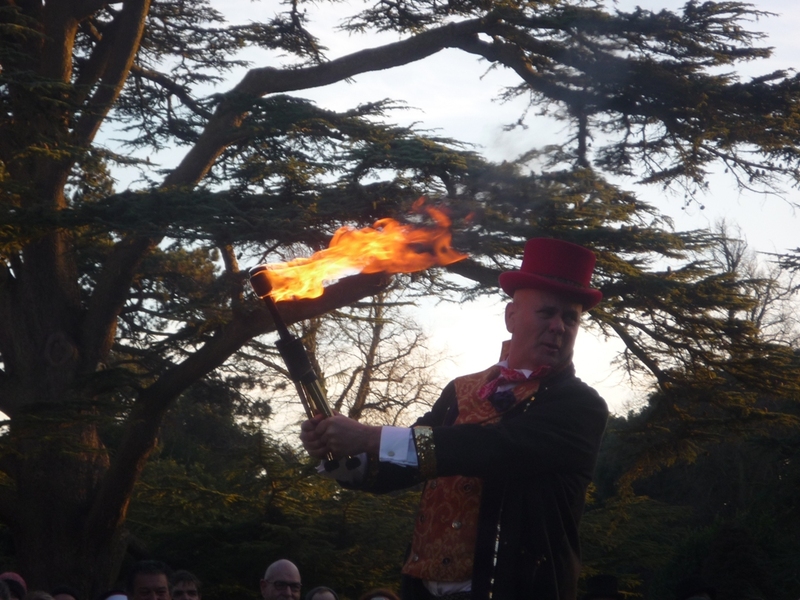 Victorian Christmas took place from 10am- 5pm on both days with the chance to experience the spirit of Christmas when Osborne housed the Royal family. 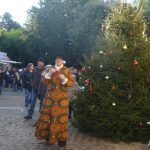 and delight in jovial entertainers,(pictured above) hear the festive sounds of the season and smell and taste the roasting chestnuts in the snowy courtyard. 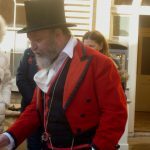 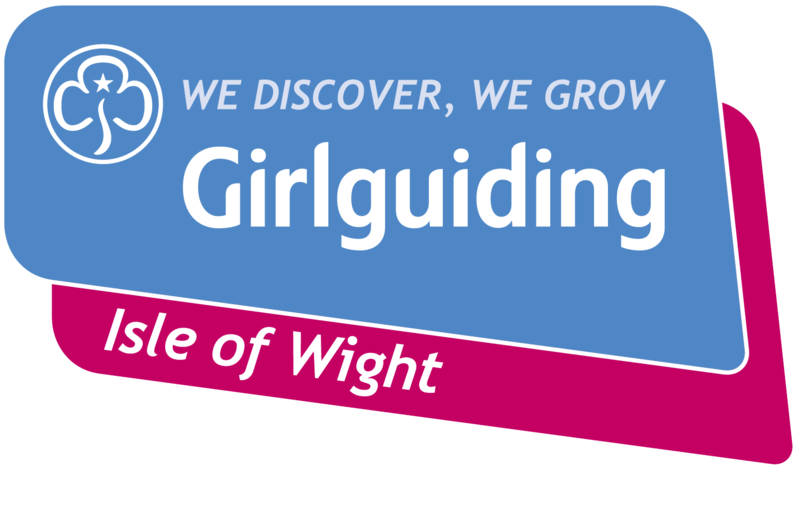 There was also the chance to enjoy some Isle of Wight Fudge and other Island produce including Tipsy Vodka and Mermaid Gin. 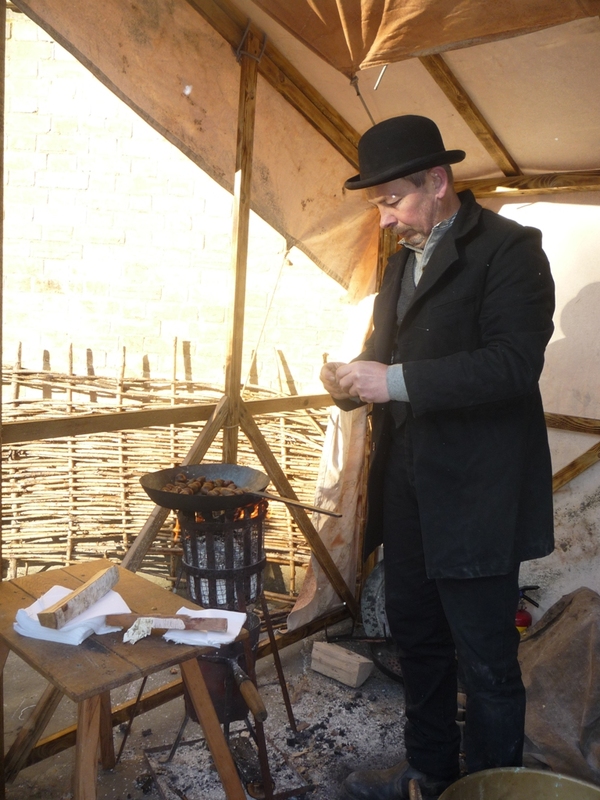 Marvelling at the skilful Victorian falconer proved very popular and children could make their own traditional toys. 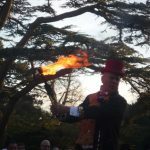 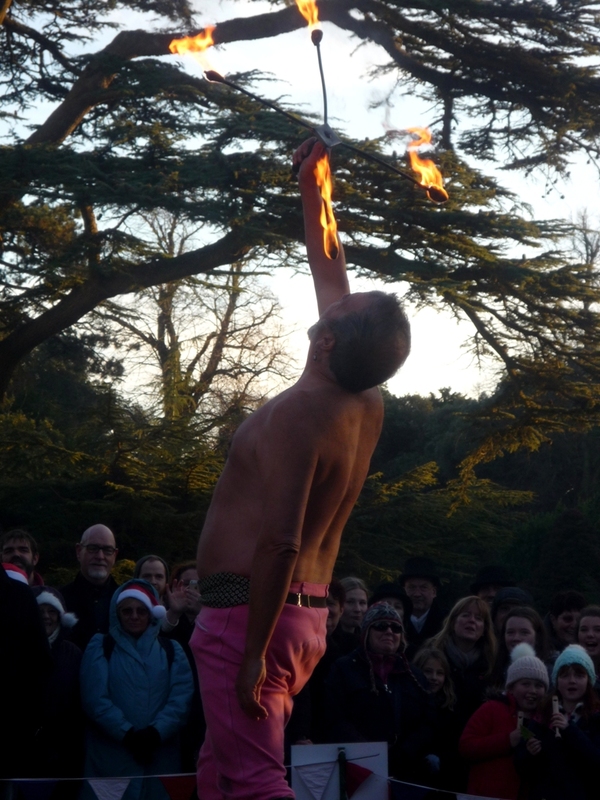 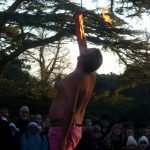 At times there was a long queue for the carousel and the fire eating attracted a large crowd. 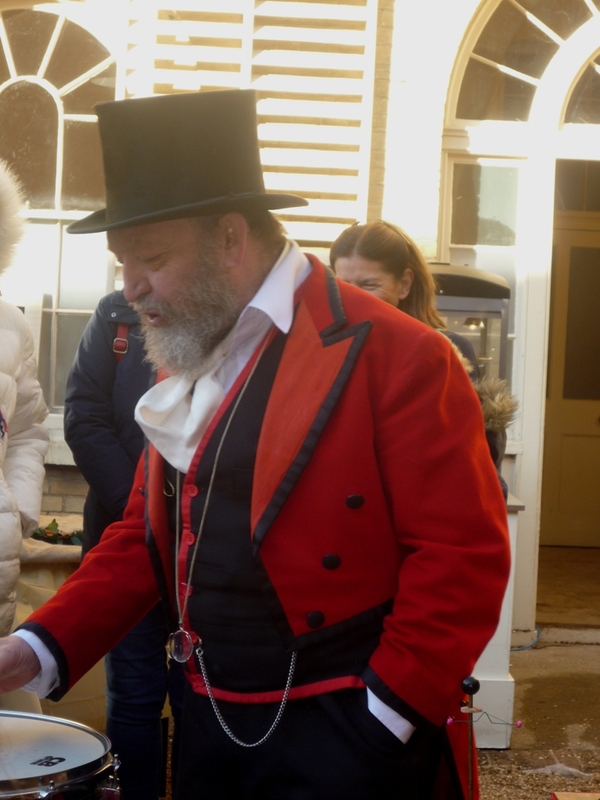 With children meeting Father Christmas and some visitors even meeting ‘Queen Victoria’ as they toured some of the festively dressed rooms this event proved to be a popular destination with Islanders and Island visitors alike.